1 - We have a legacy to take care of, with the faults and problems that comes with it, we can not change the past but we can strive for the future. There are illnesses that have existed since the species of the dogs begun to form, like arthritis, hip and elbow dysplasia, blindness, deafness, epilepsia and so on. Those do exist! We must acknowledge them, talk about them, and do everything we can to find them, then and only then can we only strive to eliminate them. To be able to preserve something, you must both know the history of the breed, the ideal behaviour of the breed as well as your dogs - you can not be sure what you preserve if you don not know all of these. 2 - To be able to live in a modern society with everything that exist in the modern life style a dog must easily activate and relax. That is the easiest way fo a dog to deal with the stressfull environment we live in today. Though we ca not make dogs that does not need training, activities and a happy life companion. If you are depressed, your dog will be unhappy, if you do not take charge the dog will do so and if you do not come up with the suitable activities, the dog will create games and activities that suits that particular dog - and probably not you or your home. If a dog is breed to hunt, it will hunt - and of the it does not get outlet for its needs, it will hunt other things. 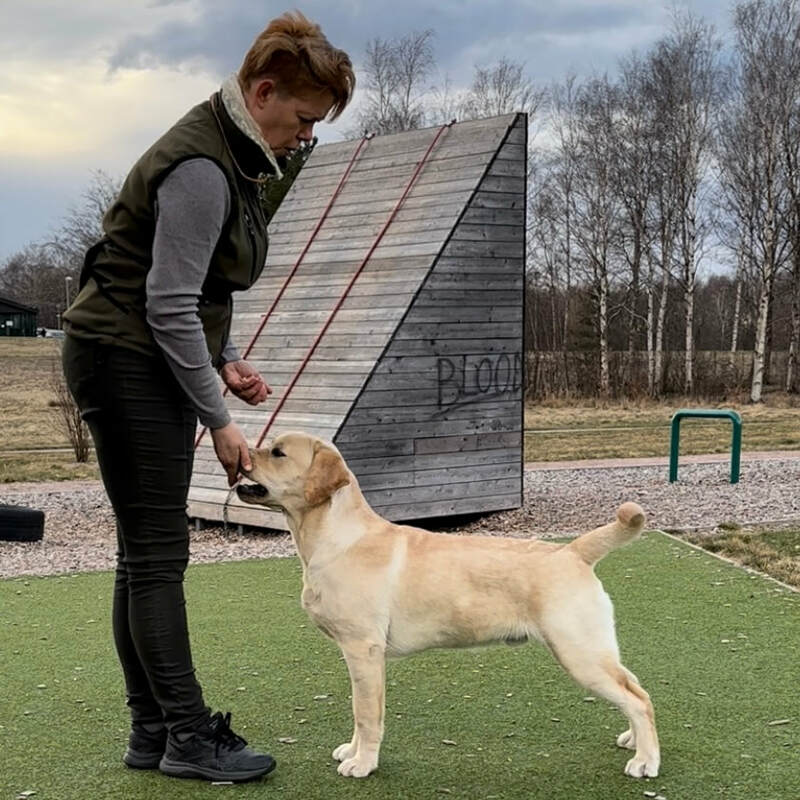 3 -Just because a dog gains a first price in obedience or field trial does not say if this dog will produce offspring that will be easy to train for the breeds purpose, it will tell you that this particular dog was trainable to this precise obstacle by this trainer. If it will be easy for you to train or achieve the same goal or of it was easy to train for that trainer is not told by the final result. So we strive to breed the dogs that is most likely to carry the legacy of the and is easy for anyone to train. 4 - If I buy a chocolate cake it shall look like a chocolate cake. If I buy a sports car it shall look like a sports car, because the design of a sports care is adapted to the way a sports car behaves on the racing track. The same with the breed standard, if a dog is made for trotting, it will need to have the specific build to be able to be a trotting dog - otherwise it will gallop. 5 - If the breed is ment to hunt birds, it shall hunt birds, and we do not try to make it hunt anything but the specific species that it was originally ment to hunt. We want it to work like it was supposed to do once up on a time (if those species of wildlife does not exist where you live, it might hunt the game that does live there though). 6 - Of course we use the healthy dogs for breeding, we are going to keep at least one puppy for our own and we want as healthy dogs as possible! But health is subjective. What if one hip scores with great results and the dog still has pain from its hips? Health is a difficult matter, if a dog is healthy by all tests - does just say that that specific day it did not have any of the tested illnesses. But what about history and future and those illnesses we did not test for? Or those there no tests exist? Like allergy, allergy is just the bodys natural reaction to something it think is a poison. It is a necessary reaction, but to the wrong substance. Just like asthma... We can not eliminate the reaction, just breed on those who do not show any reaction. There are no guarantees, all we can do is strive, test and be as open and objective as we can. The more information we have - the greater chance of achieving the goals. If we succeed, yes, it only teaches the future to expel. But everything is based on a legacy, an inheritance we can not do anything about and an inheritance we are tasked with preserving.